Running a business isn’t an easy task. From conceptualizing logo design that shares your passion to creating content that shares your expertise regularly, there is an endless list of things that you need to take care of. Do you think it is possible for anyone to generate ideas as well as be involved in the processes to attract the audience? We’re sure you’re nodding your head in a NO! Enter crowdsourcing. Crowdsourcing is quite similar to outsourcing in which the job is given to someone outside of your business. However in crowdsourcing, the job is outsourced to a crowd of resources through an outline platform. It is quite beneficial proposition for businesses as you get numerous responses and that too at more affordable prices than outsourcing. Crowdsource Ideas from Consumers You can crowdsource ideas from your customers who can give their views about your company and use those ideas for improving your business. You can ask your customers to give ideas for a new product or any changes they want in the products you are already selling. This will give a sense of power and commitment to your consumers. You can do this by using platforms such as Chaordix or MyBlogU. TruConversion.com reveals that such crowdsourcing sites help you get ideas for your content, sharing your ideas and getting feedback from the community. 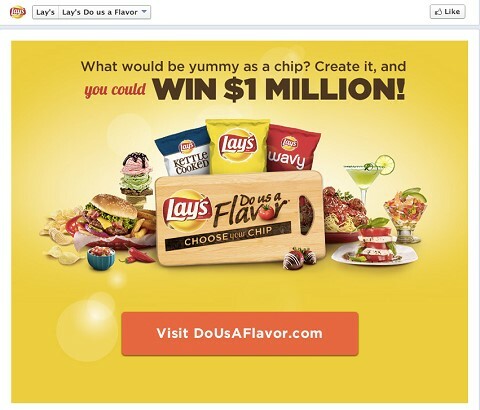 For instance, Lays had launched the “Lay’s Do Us a Flavor” contest in one of its most successful crowdsourcing campaigns. Apart from receiving over $1 million of earned media and word-of-mouth marketing, the company also gets many creative ideas for future product flavors. Face Detect, Crop & Resize Online. Cloud Image Management. Try Now! Crowdfunding sites such as Kickstarter, Rockethub , 48Factoring and Indiegogo have helped various startups to launch their business through several rounds of investments. All you need to do is to share your business plan or the investment opportunity with the crowd on these platforms. An article published in datafox.com explains that the arena of crowdsourced funding for startup companies is steadily expanding and rapidly evolving. Lending in this marketplace remains the largest segment of the crowdfunding industry with an expected $25.1 billion in funding for 2015 (more than doubling the approx. $11B in 2014 and representing almost 75% of projected total industry funding), states crowdfundinsider.com. Yet another benefit of crowdsourcing for startups is that sometimes it helps you meet people that can be helpful for you and your business. You can get in touch with them through social media or via any other medium. However, make it clear beforehand of what and why it will be beneficial for them as well as what your aims. If you face a problem regarding the research and development of your business, there are solutions out there on the web. There are ‘problem-solving’ open innovation platforms such as Innocentive and Designhill.com that can help you find solutions. On the other hand, the problem-solvers have a good time solving your problem as it is a challenge for them and they get paid for solving that problem. Various companies realize that getting more opinions from their customers can help them create better policies. The customers can help you formulate policies that will turn out to be more democratically accountable. You can do this via Change.org or Valve. Consumers no more feel shy about sharing. Everything is there on social media platforms. Already the Open Data Institute is advocating that all data should be “open by default”. Just imagine what data you need or would like to share and that is available. This would help in your business as you will have access to any sort of data needed to make your marketing strategies. Another benefit of crowdsourcing is that it enables you to get gather actionable insight from the crowd. The crowdsorcing platform gives an opportunity to the people where they can talk freely about topics they are concerned with. For instance, companies such as Listen & Learn Research help in gathering and analyzing the data. Through crowdsourcing, you could get a clear idea of what the crowd wants and take decisions regarding the strategy of your business accordingly. Doing so will grow your business to the limit that that you will quite frequently sell out of your products. Companies such as Threadless get to know their crowds and build a market before they launch their product. Last but not the least, crowdsourcing helps find businesses new people. Big companies such as eBay and Facebook too use this way to find volunteers or employees. Crowdsourcing gives both the companies and the volunteers a chance to know about their capabilities and who knows that you get a good fit for your company. We hope that you are now convinced of how important is crowdsourcing is for the growth of your business. It helps you find new talented people and hire them, make strategies, know the behavior of the customers and much more. Crowdsourcing is quickly becoming a necessary tool to stay ahead of the curve in the marketplace.